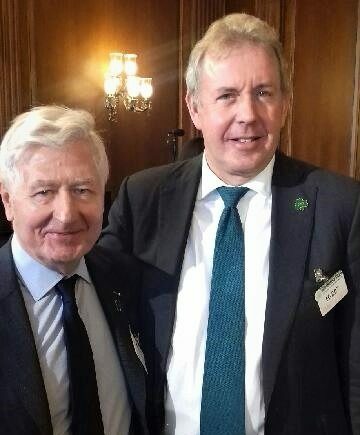 Co-operation Ireland Chairman Dr. Christopher Moran and Chief Executive Mr. Peter Sheridan OBE traveled to Washington, D.C. and New York to represent Co-operation Ireland, the peace building charity, in annual St Patrick’s Day celebrations. 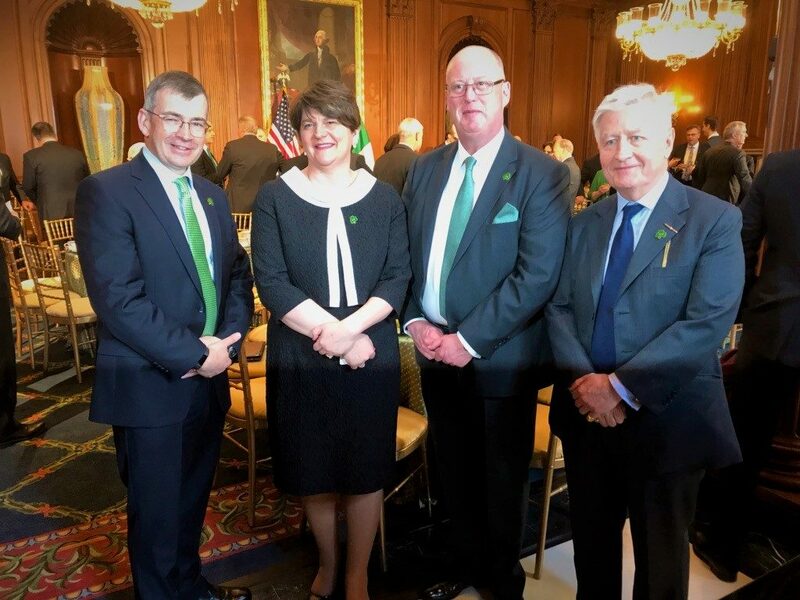 Among the events Dr. Moran attended were the Friends of Ireland Luncheon hosted by Speaker Nancy Pelosi, United States House of Representatives on Capitol Hill in honour of His Excellency Leo Varadkar, Prime Minister of Ireland, and The White House’s annual Saint Patrick’s Day Reception hosted by President Donald J. Trump, wherein a traditional shamrock bowl is presented to the President of the United States by An Teoiseach. 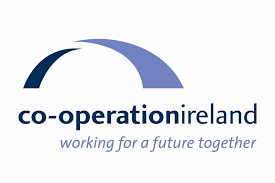 Co-operation Ireland was founded in 1979 and works to promote and encourage interaction, dialogue, and practical collaboration between the peoples of Northern Ireland and between Northern Ireland and the Republic of Ireland. 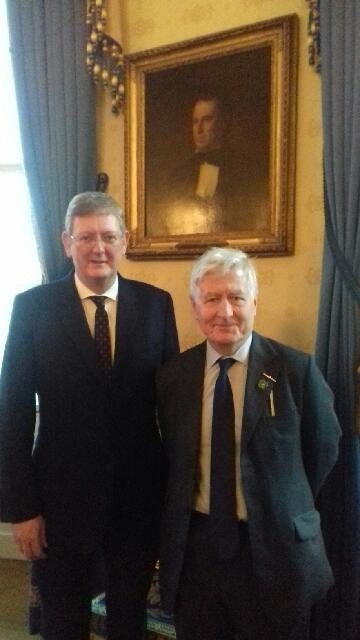 Co-operation Ireland serves under joint patronage of Her Majesty The Queen and The President of Ireland Michael D. Higgins. Information about upcoming Co-operation Ireland programs in the United States can be found here.